Beijing is a unique blend of history and modernity, which makes it one of the most unforgettable and legendary cities in the world. Over 140 million local tourists and 4.4 million global travellers seek every year to see first-hand why Beijing is one of the greatest cities the world has ever known. Bordered to the north, west and south by Hebei Province and to the south-east by Tianjin Municipality, Beijing city is one of the Four Great Ancient Capitals of China, along with Nanjing, Luoyang, and Chang'an. It is nestled on the triangular tip of North China Plain and has a diverse topography of plains, steppes and mountain ranges. Continental monsoon weather makes way for all four seasons experienced in the city, with January being the coldest month at -4 degrees Celsius and July, at 29 degrees, being the warmest. Summers are mostly dry but sometimes humid while winters are dry with snowfalls happening about twice a year, usually from December into January. There is hardly one structure in Beijing that is not part of its history. Although essentially a flatland, the greater municipality of Beijing includes highlands in the north, where the Great Wall of China was erected to protect against nomadic invasions. 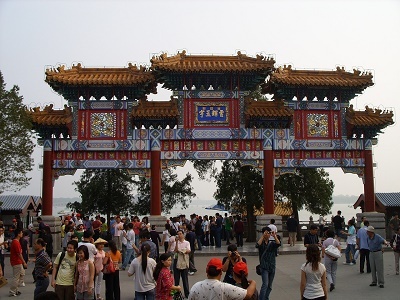 The city is also known for its historic temples, palaces, stone walls and gates, among which are the 12th century Marco Polo Bridge, the Monument to the People's Heroes and of course, the city's most architecturally exquisite building, the Temple of Heaven, where emperors of the Ming and Qing Dynasties used to pray for a good harvest. 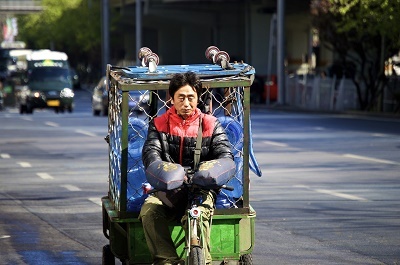 The people of Beijing are typically simplistic although technological advancements have made them more open to exploring highly functional and useful gadgets. They are also known to be artistic and have a tendency to hold on to their conservative nature even as the Western culture has created some notable changes, especially among the younger population. They can be very clannish and emotionally attached, particularly in father-and-son, brother to brother and spousal relationships, and close friends may be regarded more as family members. Expats who have made good friendships with Beijing locals will usually attest to this. In Beijing, as with any other city in China, there is not any single religion that people follow, but traditional beliefs in Confucianism, Buddhism and Daoism are evident in their daily lives and practices. Religion is also synonymous with philosophy for the Chinese who are also observed of late to be displaying an openness to Christianity, Islam and the new ethos of capitalism. When packing for Beijing, expats and tourists should never forget to include sturdy but comfortable shoes, as one is unlikely to resist walking around the downtown streets which teem with fabulous historical landmarks. The same goes for those exploring the Great Wall of China, where anti-insect creams may come in handy. With mostly windy and sunny days, it is always a good idea to bring sunscreen and a sun visor. For colder days, a simple jacket, a pair of gloves, a scarf and a hat will do. Beijing is not only one of Asia's most significant cities as far as carving world history is concerned. Today, it is also the economic, political and transportation hub of China, which is the world's fastest economy, besting the United States and Tokyo even as these countries remain the top two economies in terms of exchange rates. As far as expatriates are concerned, Beijing is all the more proving to be a choice destination, not only for its economic promise but also for its respect for its own culture and heritage which may have become more dynamic but are still as pure as ever. It would be wise for expats to buy furniture, appliances, and other household or personal items in Beijing instead of opting for overseas shipping. For one, almost everything one would need is available in Beijing. And second, cargo shipping is pricey. 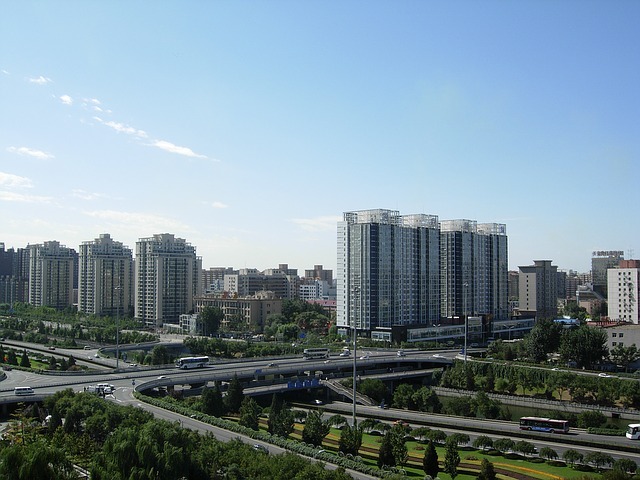 When deciding to relocate things to Beijing, expats can seek the help of international cargo and freight shipping removal companies such as AES Cargo, Move One Relocations, Air-City (Xiamen) Freight International Co Ltd, Air Sea Transport Inc, and International Removals China Services for faster and safer transport. The average time duration of overseas shipping to Beijing by sea travel is about four to eight weeks while airfreight is five days. Expats need to know some basic customs guidelines and regulations before relocating to Beijing. Household goods shipments to Beijing do not include alcohol and narcotics. Quantity restrictions on importation to Beijing include two sets of golf clubs, 300 CDs and 200 DVDs per shipment only. Additionally, a grand piano is not permitted to be shipped in Beijing unless the owner proves to be a concert pianist. Obviously, these sort of restrictions do not apply to everyone, but it is more than likely some restrictions will, and for that reason, it would be wise to read up on all of them before packing. Import documentation for shipping is not complicated for movers to Beijing. Expats must note to accomplish and submit only two copies of baggage declaration along with a copy of both the valid Work and Residence Permits to Beijing upon entry. With a history dating back to three millenniums, Beijing is world-famous for several UNESCO World Heritage Sites such as the Great Wall of China and Forbidden City. It is well-loved by foreigners for its rich oriental culture. Beijing, the capital city of the People’s Republic of China houses a population of 11.51 million. It is often referred to as the centre of politics, education, and most major state-owned companies in China. Full of life and stark contrasts, it has attracted many adventurous expatriates. Beijing is located in the northeast of China and hence, has very long and cold winters. At night, temperatures can dip to -20°C. If you are staying year-round, it’s advisable to either bring clothes for the climate or go shopping before the weather changes. Items, which are sometimes hard to located in the larger cities of Beijing, include clothing in larger sizes, specific foodstuffs and over-the-counter medicines. If in doubt, bring it with you. A 5.5% sales tax is applied to shopping purchases. China’s environment has suffered from the country’s rapid development, and currently, and is the 20th in the 30 most polluted countries in the world. The air and water quality are major concerns and particularly noticeable for expatriates in China. The Chinese Government is exerting tremendous effort in the air quality, though the high coal usage throughout the country makes air quality a major issue. For safety purposes, it would be best for expatriates to get themselves familiar with city driving in Beijing before doing so. Anyways, it would even still take time to get a Chinese driver’s license as the processes in Beijing are bureaucratic and an expat must gather all their patience to wait in long lines. Due to the large population in the city, roads and highways also tend to be dangerous plus traffic congestion is a daily part of driving life. Rather than owning a car, expats may instead prefer a bike which is done by foreigners living in the city. Aside from the language barrier, there is so much in Beijing that might bring culture shock to many foreigners. One of which is the overcrowded population in the city. Processes in Beijing are bureaucratic and can take a while to be completed so expats have to be patient and bear the wait for any formal applications or requests. The old world city of Beijing brings in many beautiful attractions for children to explore and schools that provide only the best for students. After school or during the school holidays, kids can certainly enjoy teeming activities around Beijing. There are museums and recreational facilities within the city centre such as the Magic Bean House Children's Museum, China Science and Technology, Beijing Happy Valley, Beijing Aquarium and Beijing Museum of Natural History. Aside from these, the city also has amusement parks such as the Beijing World Park, which is filled with lots of miniature world landmarks and Chinese cultural performances. Other parks include the Beijing Ocean Park and Shijingshan Amusement Park. Expat parents who would like their kids to have an idea about Chinese life may also take a walk at the neighborhood of Hutongs.